EPW031080 ENGLAND (1929). Shepherd's Bush, a greyhound meeting in progress at the White City Stadium, 1929. This image has been produced from a damaged negative. 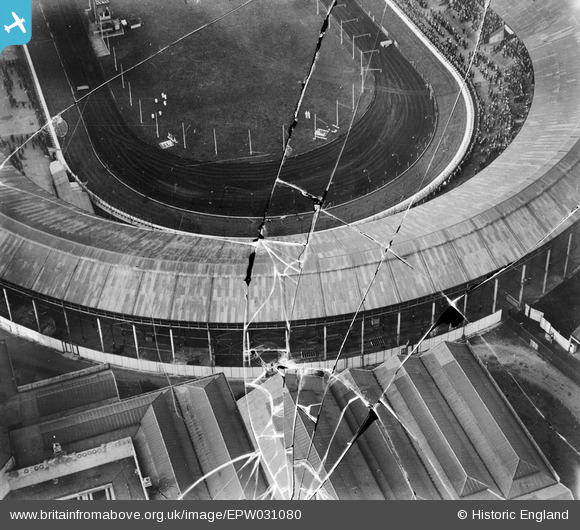 Title [EPW031080] Shepherd's Bush, a greyhound meeting in progress at the White City Stadium, 1929. This image has been produced from a damaged negative.